Much has already been written and reported about the tragic fire causing severe damage to Notre-Dame de Paris Cathedral earlier this week. My sadness joins that of many in the world. Historical structures with cornerstones dating back to the early 12th century are priceless. More importantly, notwithstanding differences between Lutherans and Catholics, this cathedral has served as a place of worship for nine centuries. I hope and pray reconstruction will occur. Today is Maundy Thursday, observed in the Christian Church throughout the world as the anniversary of the institution of the Lord’s Supper. It happened as Jesus shared the Passover meal with his disciples. Biblical accounts are Matt. 26:26-29; Mark 14:22-25; Luke 22:14-23. On several occasions I’ve written about the Lord’s Supper, aka Holy Communion, the Sacrament of the Altar, the Holy Eucharist, etc. But I don’t recall writing a Perspectives article that tells the story of Communion on the moon. So here we go. 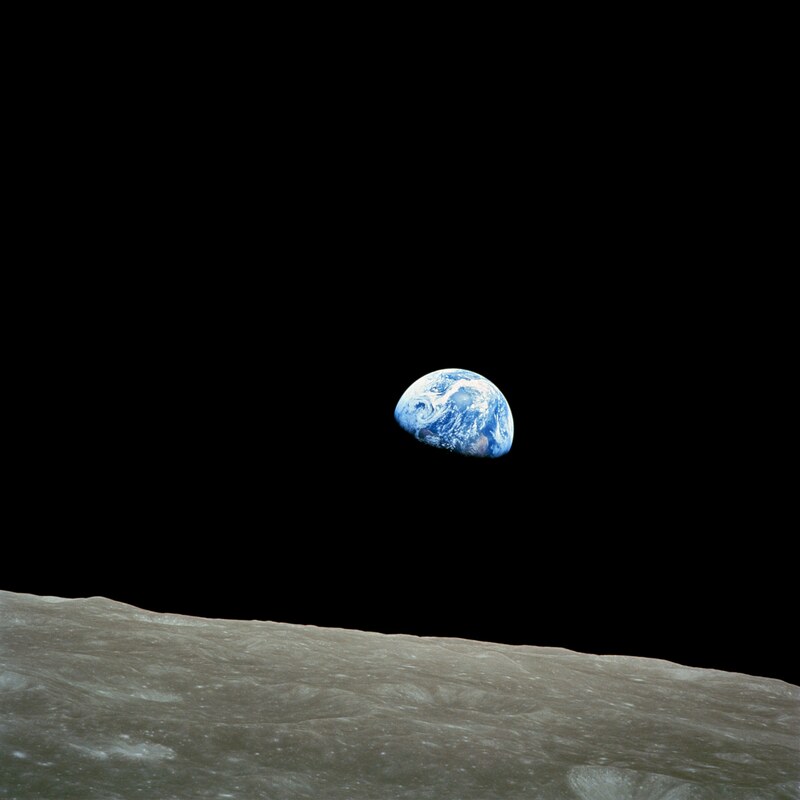 Apollo 11 landed the first two human beings on the moon in July 1969. Those of us old enough to do so remember it well. It also marked the first occasion on which a Christian took the sacrament of Communion on an astronomical body other than Earth. This event took place in the interval between the lunar module’s landing on the moon on July 20, 1969 and Neil Armstrong’s first steps on the lunar surface several hours later. During that period of time, astronaut Buzz Aldrin privately observed Holy Communion using elements he had brought with him to the moon. Aldrin was an elder at his Presbyterian Church in Texas during this period in his life. Knowing that he would soon be doing something unprecedented in human history, he felt he should mark the occasion somehow, and he asked his pastor to help him. The pastor consecrated a communion wafer and a small vial of communion wine. And Buzz Aldrin took them with him out of the Earth’s orbit and on to the surface of the moon. Not incidentally, another astronaut has done the same. Col. Jeff Williams, longtime faithful member of Gloria Dei Lutheran Church in Houston, communed numerous times during his lengthy stays aboard the International Space Station in 2006, 2009, and 2016, with sacramental elements consecrated at Gloria Dei. I spoke with Jeff and his former pastor, Rev. John Kieschnick (my second cousin-once removed and very close friend) this week. Both men humbly and thankfully honor this wonderful spiritual and sacramental blessing from our Lord Jesus. Regardless of where it is received, whether in a centuries old cathedral or on the moon, Holy Communion is a precious gift of God. It’s as close as a human can come to Christ this side of heaven. Receive it with a heart of thanks for God’s love, made real in the human being named Jesus, Savior of the world and Lord of the universe! Terry and I pray that your observances of Holy Week and Triduum, including Maundy Thursday, Good Friday, and Holy Saturday, will be blessed. And we pray for you and your family a joyous Festival of the Resurrection of our Lord! As basketball fans know quite well, March Madness ended this past Monday night. In the final game, Virginia won the championship over Texas Tech in overtime. Numerous other games were played in a single elimination format. One loss and the team goes home. After one of those earlier games, Virginia Tech’s Coach Buzz Williams prayed for the team’s three graduating students in the locker room following a two point loss to Duke in the Sweet 16. His prayer was a blessing and moved many to tears—even those who don’t follow college basketball. Williams prayed for Ty Outlaw, Justin Robinson and Ahmed Hill, players who have been with him for the majority of his five years as coach of Virginia Tech men’s basketball. According to sports commentators, these young men have built Virginia Tech into a respected contender on the national college basketball scene, a fact that is clearly not lost on Williams and is apparent in his prayers. Interestingly, just a few days after losing to Duke, Coach Buzz Williams accepted the head basketball coaching position at Texas A&M, my alma mater. Regardless of the success of his team on the court, his godly influence will be a blessing! Perhaps we’re seeing a trend. Whether or not the Triune God actually cares about collegiate basketball or sports of any kind, it’s always OK to pray! God bless your day! This past Sunday, March 31, Salem Lutheran Church in Tomball, Tex. observed the retirement of Pastor Doug Dommer and his wife Delo. Doug had served Salem for 38 years in a number of roles in support of two senior pastors, Wayne Graumann and Tim Niekerk. The celebration was inspirational. It began with an informal hour of sharing by women and men who had known and worked with Doug over the years. Speakers included one of his brothers; a couple young pastors whom Doug had influenced and mentored over the years; a woman staff member who introduced video reflections of Doug’s sermons and gave her own testimony of Doug’s support and encouragement for women using their God-given gifts; and his former senior pastor. Terry and I were invited to honor Doug’s wife Delo, a wonderfully gifted and talented woman. That informal hour was followed by a service of worship during which Doug preached his farewell sermon, reflecting on his years at Salem and focusing on Philippians 1:3-6: I thank my God every time I remember you. In every prayer for all of you, I always pray with joy, because of your partnership in the gospel from the first day until now, being confident of this, that He who began a good work in you will continue to perfect it until the day of Christ Jesus. God’s grace always precedes our peace. Many churches eat their pastors alive. Salem loves their pastors to death. The work we do is God’s work. He began it. He will perfect it. One of the most moving parts of the service was the final hymn, A Mighty Fortress. Immediately after the conclusion of the sermon, Doug went straight to the organ bench and played this hymn as I’d never before heard it played. By anyone. With no notes. Majestically. Worshipfully. Powerfully. Inspirationally. A mighty fortress is our God … the Kingdom’s ours forever! The concluding moments included words of appreciation and affirmation from senior pastor Tim Niekerk, along with presentation of a cash gift. The amount was not disclosed, but the presentation left no doubt that its purpose was for the purchase of a new automobile. During these two separate activities, appreciation for Doug’s ministry and Delo’s partnership was articulately and emotionally expressed. Yet throughout the morning it was clear that the real appreciation was directed toward our gracious God … Father, Son, Holy Spirit … for the gifts Doug and Delo have received and the way they have used them to be a blessing to the thousands of people they have influenced for Christ during their 38 years at Salem. 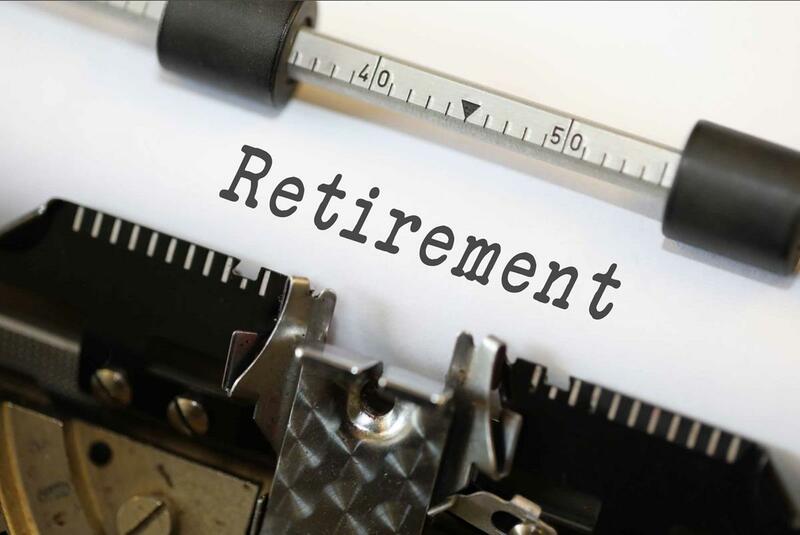 In my work with Legacy Deo I talk to people about estate planning. Creating a plan is an important step for every person to take, regardless of age or financial status. It can be done by using a variety of methods of current planning for future gifts to family and charitable causes. Almost every day I encounter people who have misconceptions about how, what, where, when, and why estate planning should occur. Accordingly, a large part of what I do is help people understand what is mythical and what is factual about estate planning. Here’s the fact: Regardless of the size of your estate, what you have is God’s gift to you. As people entrusted with the management of whatever we have received as a blessing from God, you and I have the responsibility of carefully and prayerfully planning the distribution of what we have to the people and the causes we love. Read the parable Jesus told in Matthew 25:14-30 about the varying amounts of money entrusted to the care of each of a master’s three servants. We’re not all equally blessed. What we do with what we have is important, no matter how much we have or don’t have. Every heartfelt gift you and I make to our family and to our church or other charitable cause is helpful, no matter the size of the gift. So whether your possessions are worth $10,000 or $10,000,000, take the steps necessary to be sure they are efficiently and effectively passed on according to your wishes. That’s the essence of estate planning, also called planned giving. Legacy Deo can help! Contact us at info@legacydeo.org or call us at (800) 880-3733 or (512) 646-4909 for a free Wills Planning Guide. You’ll be glad you did! Many of you recall that my dear mother went to heaven January 10, just over two months ago. All three of my siblings and spouses, along with their children and grandchildren, spent time, money, and energy caring for our Mom, especially during her last few years on this earth. My sister Carol, whose birthday is today, was the anchor. She lives closest to Mother’s assisted living residence and with rare exception spent at least five days a week caring for her. A couple months prior to Mom’s passing, Terry and I, with Carol also present, paid a special visit. We surmised Mom’s passing was imminent and wanted to be sure that her memorial service would be conducted according to her wishes. So I asked a few questions about her funeral service preferences, using as a guide a form I had helped prepare a couple years ago. She was glad I asked. Legacy Deo, formerly Lutheran Foundation of Texas, is pleased to offer to you a copy of that same document — Celebrating Victory in Christ Funeral Planning Guide. For your free copy, call 1-800-880-3733 or 1-512-646-4909 or contact info@legacydeo.org. If you use this guide for planning your own memorial service, your family will be spared the difficulty of making these decisions for you without your input, at a time of sorrow and grief. Do it now, while it’s on your mind. Provide a copy of your completed form to someone in your family and also to your pastor. You and they will be blessed as a result. This week is the celebration of the 55th anniversary of my graduation from Texas A&M University, known during my days there as A&M College of Texas. Thinking about all my aging classmates leads me to share with you these old age adages. Read, smile, and enjoy. Another senior said: “I feel like my body has gotten totally out of shape. So I got my doctor’s permission to join a fitness club and start exercising. I decided to take an aerobics class for seniors. I bent, twisted, gyrated, jumped up and down, and perspired for an hour. But by the time I got my leotards on, the class was over. A senility prayer: “God, grant me the senility to forget the people I never liked, the good fortune to run into the ones I do, and the eyesight to tell the difference. 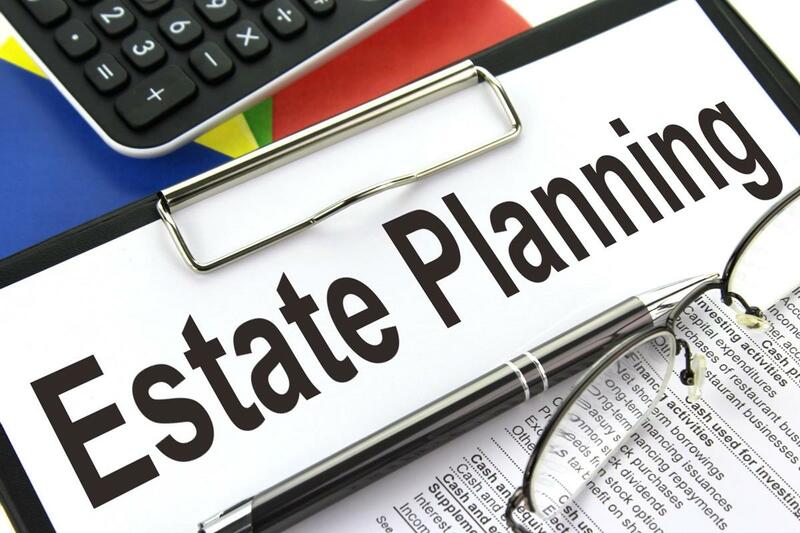 My serious and sincere advice: While you’re still of sound mind, be sure to take care of the responsibility and privilege of planning your estate. Provide for your family and your favorite charitable causes. We at Legacy Deo would be honored to help.